Even though we live in a world full of technological advancements and automatic machines, there are still many features that most people are unaware of. Whenever you come across a slow internet, restart your modem and router before trying anything else. 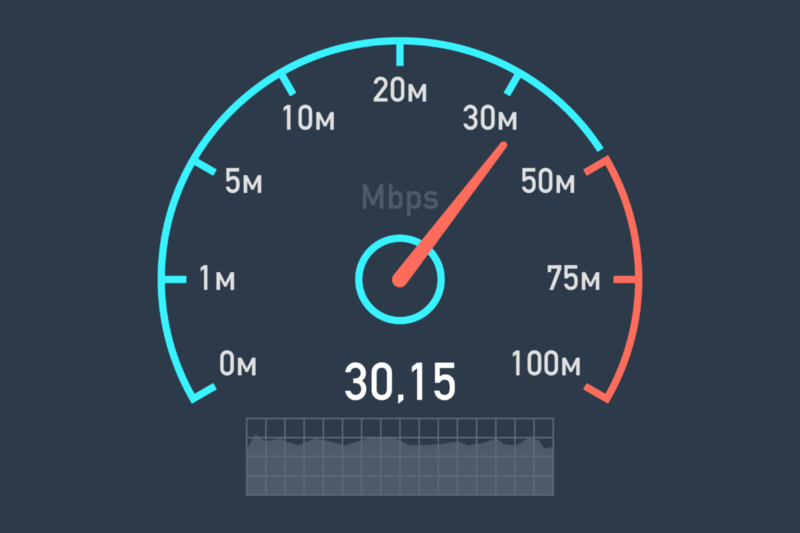 This very simple method can drastically improve the speed of your internet because it refreshes the system and removes the issue that’s slowing it down. Once you’re done with rebooting your internet modem, restart your computer and then you can run a speed test to find out the actual speed of your internet connection. According to some experts, wireless internet connections degrade the speed of your internet by almost 30%. It’s true that Wi-Fi connections provide more convenience than wired internet connections, but if you’re in dire need of high-speed internet then you can connect your computer directly to the modem with a wire. Plugging your computer directly into the internet router with the Ethernet will boost the internet speed and you’ll be able to work at a much faster pace. The speed of your internet will significantly improve if you move your computer closer to the router because your computer will be able to grab a stronger signal from the modem. Moreover, by moving closer to the modem you will decrease the physical barriers like doors, walls, and furniture, these things slow down the connection. In order to enjoy high-speed internet, make sure that your computer, or any other device, is within range of the modem. Due to the technological advancements, routers and modems have significantly improved with additional features. The routers that were used a decade ago won’t fulfill your requirements because they lack the latest technology upgrades. If you are facing the problem of a slow internet and you are unable to find a solution, consider replacing your router with a new one which will include the latest features that will allow you to enjoy high-speed internet. Computers are delicate machines and these machines should not be overloaded with extra applications and programs. You can enhance the performance of your computer by deleting the applications and programs that you no longer use. Unnecessary applications reduce the performance of your device as it’s overloaded with useless software. Viruses are bugs that decrease the performance of your computer by infecting it with a disease. Dangerous viruses like Trojan Horse can seriously damage your computer by corrupting the files stored within it. These viruses can also consume your bandwidth and reduce the speed of your internet. To avoid such threats, you should have an anti-virus software installed on your computer so that you can easily detect and delete the viruses when they attack your computer. When you’re using the internet on your browser, sometimes you open multiple tabs in the same window, and this causes more bandwidth consumption because all the tabs are using the internet. In order to enjoy an uninterruptable internet connection, you should only open the tabs that you need to use and close all the unnecessary ones. Last, but certainly not least, you can look for a new internet service provider if you’re constantly suffering connectivity issues. There are many service providers in the United States that offer fast and reliable internet services. Frontier is one of those reputable companies which offers high-speed internet with great additional benefits like Frontier Telephone and Internet Security for safe browsing. Elisa is a tech-genie who loves to share valuable information to the readers of tech community. She is happily associated with Frontier Internet Service Company, a wide broad-band network in United States.